Who are these twelve men that said yes to Jesus? I’d like to know, wouldn’t you? Each week, throughout the summer, I’ll be posting about these faithful men who believed and shared the gospel of Jesus Christ with the world. 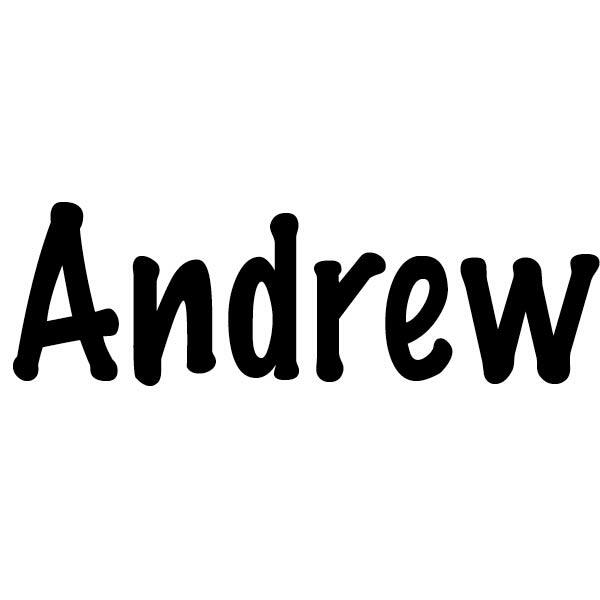 Did you know that Andrew was the first disciple of Jesus? Some refer to him as the Protoclete: the First Called. Originally, Andrew was a follower of John the Baptist. He and another unnamed disciple were with John when they encountered Jesus. That day with Jesus impressed Andrew and changed his life. He couldn’t wait to tell his brother Simon (later called Peter) about Jesus and introduce them. Andrew believed that the Rabbi he met that day was the Messiah and Andrew’s judge of character was spot on. Originally from the town of Bethsaida, Andrew was a fisherman on the Sea of Galilee like his father, Jonah and his brother. He, later, moved with his brother Simon Peter to Capernaum. Most scholars agree that Andrew was one of the followers closest to Jesus but sometimes, I think, he must have felt like a fourth wheel, particularly when he was odd man out with Peter, James, and John. As one of the Twelve disciples, Andrew’s life required courage and bravery as he worked to share the gospel of Jesus Christ in the midst of persecution with everyone he encountered. His life mirrors the meaning of his name which is “manly, of valor.” His name also reflects his parent’s openness to the mixed ethnic culture around the Sea of Galilee since his name is of Greek origin and not Aramaic. Andrew is highlighted a few times in scripture. In the story of the feeding of the five thousand, Jesus sees a crowd following him and decides they need to be fed. He asks the disciple Philip a question about the logistics of feeding such a large group. Andrew, thinking ahead, had spotted a boy with a basket of fish and loaves. He brings the boy to Jesus. Very pragmatic, Andrew is uncertain how the boy’s meager meal will feed such a crowd. He has his question answered in a very literal way along with the other eleven disciples. Andrew was always bringing people to encounter Jesus. He was a connector, a networker. He wanted others to see and experience Jesus as he had. Andrew liked forming a community. In the next example, some Greeks approach wanting to meet Jesus. Philip turned to Andrew for help and advice. He knew that Andrew would know what to do. Andrew with Philip takes the request to Jesus. The last significant account involving Andrew follows an incident as Jesus and his disciples leave the Temple. As they depart, one of them remarks about the beauty and majestic scale of the Temple. Jesus replies that not a single stone will be left for all will be thrown down. To talk of the destruction of the dwelling place of God would be an unusual statement to make. I imagine, during the walk across the terrain to the Mount of Olives, questions began forming in the disciples’ minds. After they arrive at the Mount of Olives and are seated, Andrew finds a place to sit near Jesus along with Peter, James, and John and they ask Jesus privately about what he had said leaving the Temple. Andrew introduced others to the Messiah. He wanted them to meet and learn truth. But in this account, Andrew reveals his own truth-seeking nature to understand and know of things to come. Andrew had a heart open to the things of God, first as a follower of John the Baptist and later as a disciple of Jesus. Scholars deduce that Andrew’s missionary work took him to Greece, the Ukraine, and Scotland in addition to other countries. Andrew was crucified around 69 AD in Patras, Greece on a structure called the Saltire, an x-shaped cross, and also known as the Crux Decussate. Legend states that Andrew refused to be crucified in the same manner as Jesus and pleaded with his executioners to crucify him in a different manner. The Saltire is commonly referred to as the Saint Andrew’s Cross. What can I learn from the life of faith of Andrew? What impressed Andrew about Jesus and caused him to declare him as the Messiah? Like Andrew, do I seek to share Jesus with others? What were the family dynamics between Andrew and his brother Peter? Was Andrew ever envious of Peter’s relationship with Jesus or was he grateful that his brother was a follower like him? Am I ever envious of other believers’ faith and testimony?